EAU CLAIRE, Wisconsin: A state representative is trying make “backing the badge” a priority to start the New Year. A bill was introduced in Madison by a Wisconsin legislator in the hopes of deterring criminals from committing hate crimes against law enforcement. David Steffen, a Wisconsin State Representative, says the bill would allow Wisconsin district attorneys and judges to apply extra penalties to those who assault a police officer: a bill that Steffen says is a must to get passed. Five extra years in prison and an extra $5,000 in fines would be the maximum penalties the Blue Lives Matter bill would tack on to the charges when officers are targeted or attacked just because they’re wearing a uniform or working in law enforcement. The republican representative bringing the bill to the forefront says it’s one of the most important piece of legislation that will be introduced. “Over the last 1-2 years, we have seen a dramatic and disturbing increase of assaults on police officers, shootings of police officers, and even ambush-style slayings of police officers,” Steffen said. 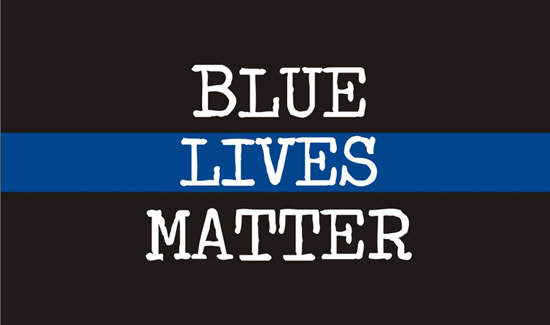 Local law enforcement says attacks on police have gone up recently and anything that helps law enforcement is something those in blue would not be opposed to. Steffen says the penalties for crimes against police officers, as they stand now, aren’t sufficient. “It is incredibly important that we do everything we can to deter and prevent that here in Wisconsin and nationally, apply a very appropriate and strict penalty for anyone who is charged and convicted of a crime of this nature, and to ensure that we are sending a strong message to our law enforcement men and women,” Steffen said.